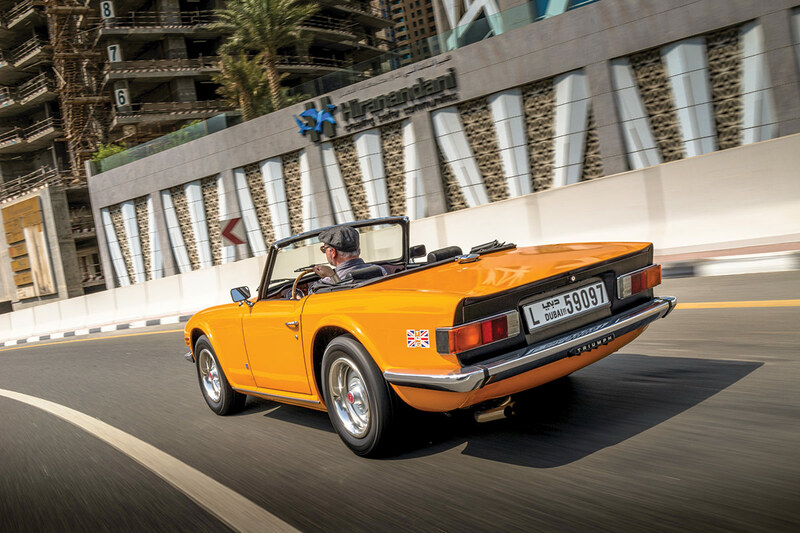 Following its extensive detailing, the Triumph sailed through its annual inspection test despite my reservations about the state of its carburettors, which have, I’ve been convinced, been making the straight-six motor run a bit rich and rough. With an emissions test result that would rival a Tesla’s (ask no questions, I’ll tell you no lies) and no observations about any causes for concern, it was time to get motoring again. But not before having to pay nearly $350 for its insurance, which due to the TR6’s age can only be third party without fire or theft cover. Best be careful, then. 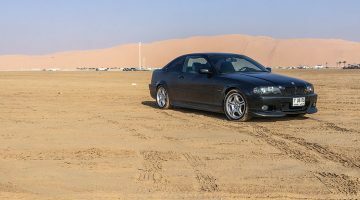 A commute from Dubai to Abu Dhabi and back reminded me that this is a car from an entirely different age. Even a Toyota Yaris or Nissan Tiida towers above it, so imagine sharing five or six lanes of Sheikh Zayed Road’s finest artics, buses and Land Cruisers while the roof is down. It’s occasionally terrifying and always deafening, thanks to my proximity to the road surface and the tyre roar from other vehicles. Still, it needed a good run, as it’s been a long time since it was used regularly. This particular sojourn went without a hitch and I was enjoying getting familiar with my classic once again, considering all the many different journeys I could do now that the weather was bearable for driving a 42-year old car with no air conditioning. Yet it was not to be. Owning a classic car is a bit like owning an old house. I should know, as the family dwelling when I was living in the UK was a country cottage that had been built in the late 1600s. 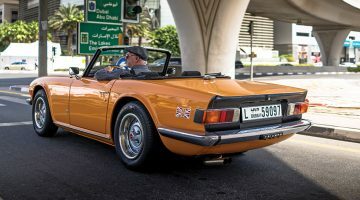 Just when I thought there were no jobs left to do on it, something else would crop up to ruin my weekend and, in the same manner, the Triumph decided to ‘fail to proceed’ as I approached a busy junction near Al Safa in Dubai. Once again I watched as this orange wonder was loaded onto the back of a rescue truck before being taken for an examination, this time at Max Garage off Umm Suqeim Road, where a whole host of issues was uncovered. For one thing, the battery was fried thanks to a short in the electrical system. That was an easy an inexpensive fix but the breakdown I’d endured turned out to be caused by a worn and damaged distributor. 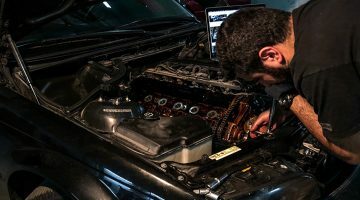 My assumption had been that the fuel had become contaminated in the tank during its summer hibernation, although upon cleaning it out, as well as the fuel lines, the problem persisted. After being laid up for nearly a month while the parts were sourced from a supplier in the UK, as well as the cylinder head having a good clean, at last it’s back on the road and running perfectly, just in time for the unacceptable aspect of UAE winter weather. It’s now too windy, cold and miserable to enjoy it. Brilliant.